Why does anyone wear disposable gloves? To protect themselves from infection, corrosive chemicals and any other harmful substances that workers have to deal with on a daily basis. 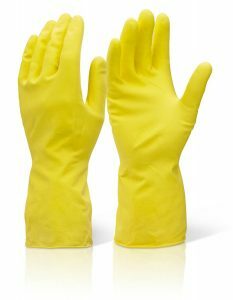 By investing in high-quality disposable gloves; you’re investing in the health and safety of yourself and your employees. The higher the quality, the less likely they’re going to tear, thus preventing injury. Remember that in many industries and job roles, disposable gloves are used a significant amount. Whilst carrying out your duties it is important that you not only feel safe from harm, but that you are also entirely comfortable. Cheaper gloves don’t tend to fit so well, which can cause discomfort and make the task at hand unnecessarily arduous. In many job roles where the use of disposable gloves is applied, dexterity in the hands and fingers is essential. By investing in high-quality disposable gloves, you will be able to work comfortably, unimpeded by tight and ill-functioning protection. Better quality disposable gloves offer enhanced chemical resistance. By opting for a stronger, higher-quality glove, you will be able to utilise them for a broader scope of functions. Low-quality gloves which are made from latex for example, are not so appropriate for those with sensitive skin conditions or allergies. By investing in high-quality nitrile disposable gloves, you won’t have to worry about your employees suffering from in skin-irritation whatsoever. You can easily tell the difference between poor quality gloves, and those which are of a much higher standard. One of the first things that you will notice when wearing enhanced protection is that they are far easier to wear & remove. This comes in very handy (pun intended) when it comes to switching between multiple tasks, – which will save an awful lot of time in the long run. When you combine all of the 6 points above, you will find that investing in high-quality disposable gloves will actually bolster the productivity of your employees. More protection, enhanced comfort and the fact that they’re easy to don and remove will mean that your staff can work faster and more efficiently. It’s a win-win-win across the board! Don’t skimp when it comes to PPE! Afford your employees the best, if you expect them to act as such.